September 3 & 4 (SAT & SUN) at the Cotai Arena, The Venetian® Macao. (July 14, 2016, Hong Kong) – BIGBANG, the icon of the era, will make their triumphant return to Macao with “2016 BIGBANG MADE [V.I.P] TOUR IN MACAO” on September 3 and 4 (Saturday & Sunday) at the Cotai Arena, The Venetian Macao! This will once again become the hottest talk of town and arouse lots of interest amongst fans and music lovers in the region. A total of 2 shows of “2016 BIGBANG MADE [V.I.P] TOUR IN MACAO” will be held at 8:00PM on September 3 (Saturday) and 7:00PM on September 4 (Sunday). Ticket sales to the public will begin at 10:00AM on August 5 (Friday) through Cotai Ticketing (Online: www.cotaiticketing.com; Purchase Hotline: +853 2882 8818 (Macao) / +852 6333 6660 (HK) / 4001 20 6618 (China) (10:00AM - 10:00PM daily)), whilst tickets will also be on sale at Cotai Ticketing outlets at The Venetian Macao, Four Seasons Hotel Macao, Sands Macao and Sands Cotai Central. Tickets will also be available through Hong Kong Ticketing (Online: www.hkticketing.com; Purchase Hotline: +852 31 288 288 (10:00AM – 8:00PM daily)). Available tickets will be sold at Hong Kong Ticketing's Box Offices, K11 Select and Tom Lee Music Stores from August 6 (Saturday) onwards. Tickets are priced at MOP/ HK$1,688, MOP/ HK$1,388, MOP/ HK$988, MOP/ HK$788 and MOP/ HK$588 (all numbered seats). 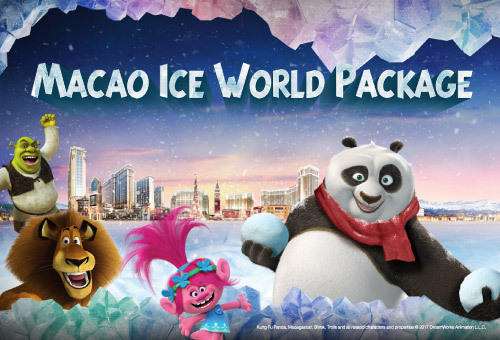 Being one of the most popular cities for travel, leisure and glittering entertainment in Asia, numerous world-class events have been taken place at Macao in recent years, and BIGBANG also held their first ever concert at The Venetian Macao with “BIGBANG 2015 WORLD TOUR [MADE] IN MACAO” last year. In 2016, BIGBANG is looking to extend the glory with “2016 BIGBANG MADE [V.I.P] TOUR IN MACAO”! This exclusive MADE [V.I.P] TOUR has brought together elements of an amazing mini concert performance along with an interactive fan meeting altogether in one show, which will surely deliver a brand new experience to their audiences, and bring out the natural side of the members. With their immense popularity and unstoppable momentum, BIGBANG has made explosive earnings with $44 million US dollars over the past year according to Forbes and become the first ever KPOP group to make it on Forbes Celebrity 100 List, once again proving the overwhelming power and influence of the five members. ELF ASIA, Live Nation and The Venetian Macao are the promoters of “2016 BIGBANG MADE [V.I.P] TOUR IN MACAO”.